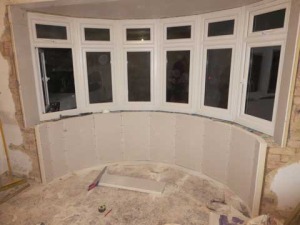 Wondering how to insulate a bay window? this guide will help. Most older properties lack insulation around bay windows, some have none! Insulation must be installed correctly for it to be effective. This how to insulate a bay window guide covers windows with single skin walls only. Why Insulate a Bay Window? Save money on heating bills by reducing heat loss. Reduce condensation around your bay window due to warmer interior surfaces. 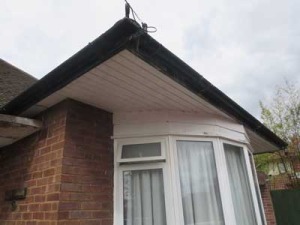 Reduces drafts coming from your bay window. Eliminate mold around bay windows, due to warmer internal walls. What type of insulation you will use? 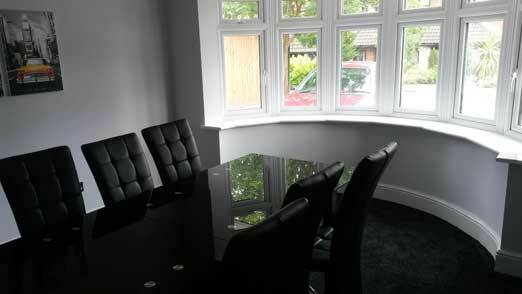 we prefer to use PIR board that has been bonded to plasterboard. What insulation thickness? 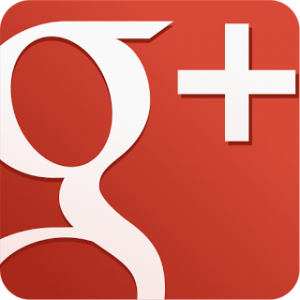 Use this insulation calculator as a guide. What walls needs insulation. Most people only insulate under the bay window. Side walls also need insulating if no cavity exists. To be used under bay window. 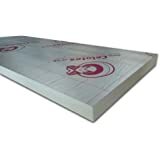 Celotex PL4050 is a thermal insulated plaster board. This high performance thermal insulation board has 50mm of PIR insulation bonded to 12.5mm tapered edge plasterboard. It is also known as plasterboard laminate or insulated plasterboard. Ideal for single skin wall under bay windows. This is similar to the thermal insulated plaster board above, except it has 25mm of PIR insulation bonded to 12.5mm tapered edge plasterboard. Ideal for single skin walls next to a bay window (surrounding it). About 25mm depth and 50mm wide. Length depends on bay window height. The screws are 80mm long, which should be long enough to penetrate thorough the insulated plaster board (50 mm insulation + 12.5 mm plasterboard) and into 25mm of batten. An excellent cordless drill popular with building contractors. 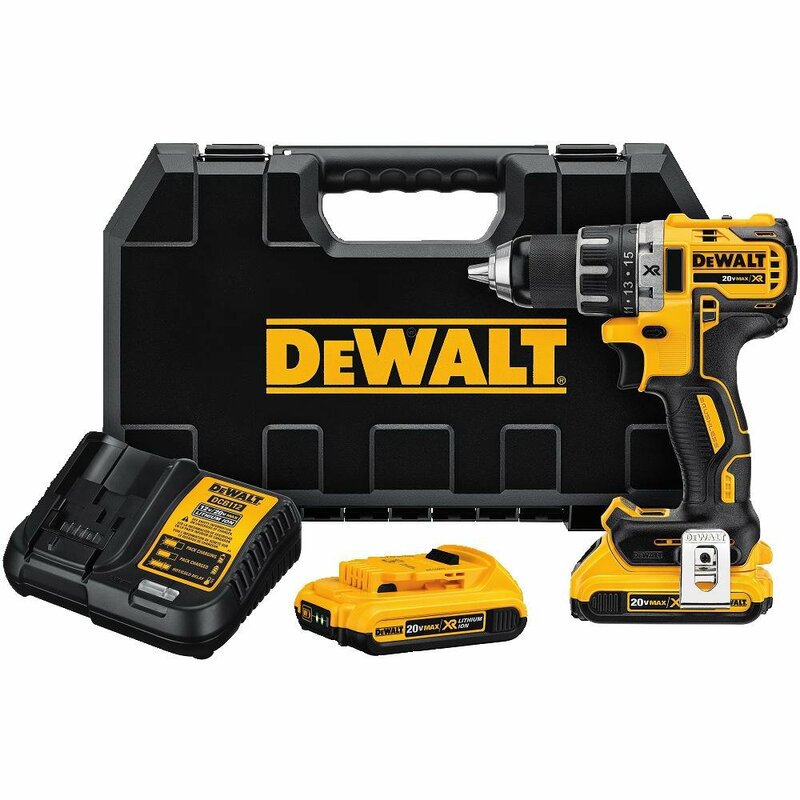 This powerful DeWalt drill comes with charger and case. Planning on replacing your bay window? if so then change it before you start insulating. 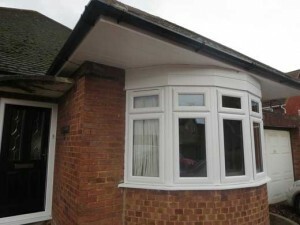 We replaced an old bay window for a new uPVC one. Cladding above the window had no insulation behind it, just a cavity. Will filled this cavity with 100mm of celetox. Walls surrounding the window are single skinned. Next prepare the room inside, so that the bay window can be insulated. 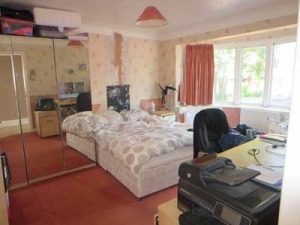 The image below shows the room completely bare. It is important to remove all wall paper from around the bay window. Any lumps protruding from the window wall should be removed. 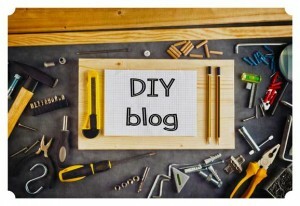 Also remove your internal bay window boards. All loose plaster should be chiseled off. You are now ready for step 2. Ensure your bay window single skin wall is permeable. This means the wall must allow moisture to pass through it. Fix timber battens below your bay window (interior). Use 4 screw for each batten. 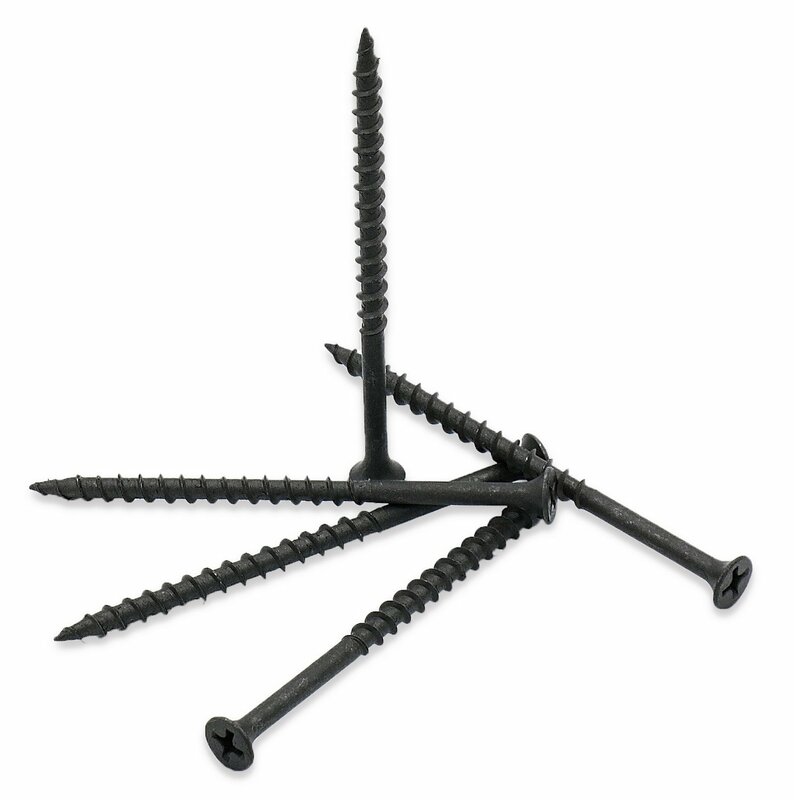 Fix to the wall vertically at 600mm centers using rawl plugs and screws. Battens support edges of the insulated plaster boards. The gap between wall and plaster board should be 25mm minimum. This is to allow moisture to escape through the porous bricks. Ensure each batten has a 5mm gap at the bottom to allow for expansion. Now fix some battens to the wall horizontally, so they will support the top and bottom of each plaster board. Read this guide from Celotex for more information regarding insulation applications. 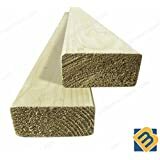 Cut insulated plaster boards to the width of your battens. 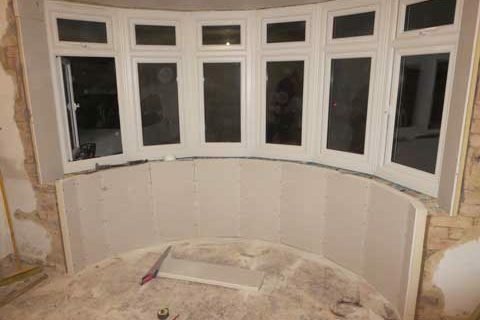 The bay window below needed 8 panels, cut 600mm wide, then 2 smaller width ones at the ends. This is a great example of how to insulate a bay window. Fix the insulated plaster board sheets to the timber battens. Use 8 screws per sheet. We also recommend insulating the window side walls. 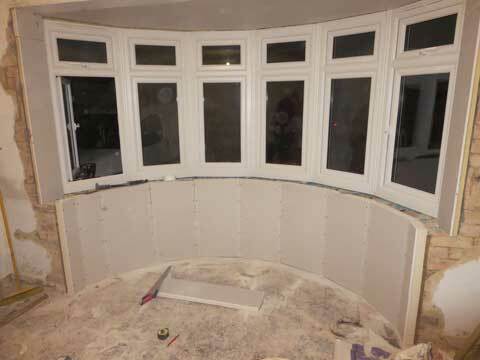 However, you will need thinner insulated plaster board such as 25mm of PIR bonded to 12.5mm of plasterboard. 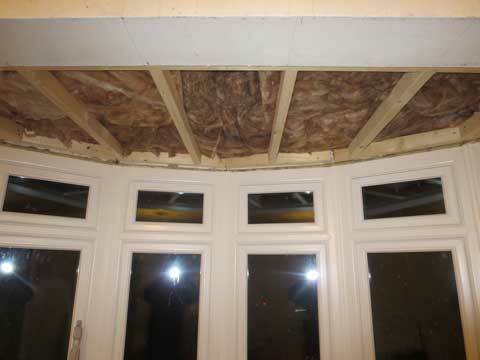 This bay window was also insulated above using rock wool. It used to be a recessed ceiling. 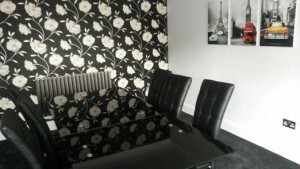 Below are images of the whole room finished. The room is much warmer since the bay window has been insulated properly. 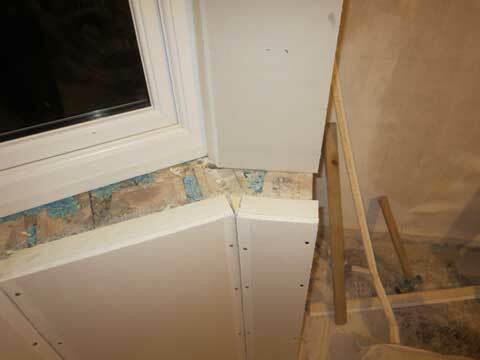 Did you manage to follow this how to insulate a bay window guide? please let us know. 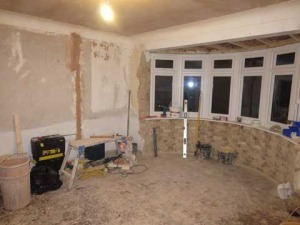 We hope you have enjoyed this how to insulate a bay window guide. Please feel free to share this post.